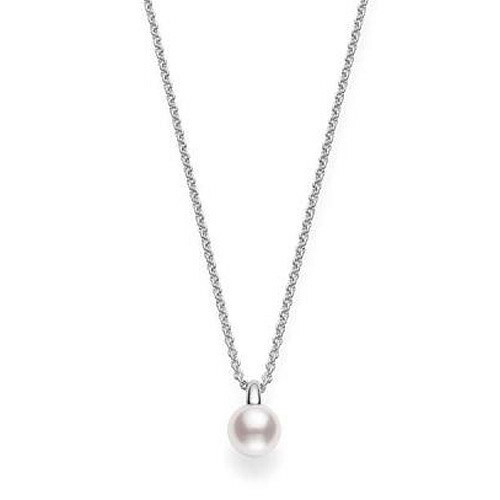 This simple and stylish pearl necklace is from Mikimoto, the world's preeminent pearl purveyor. Crafted in 18K white gold, it features a smooth, round 8.5mm A+ Akoya pearl with a wonderful luster, hanging from a precious metal chain. This Mikimoto necklace is a classic piece of jewelry that's completely at-home in today's contemporary world!